Numbness and tingling sensations, whether constant or sporadic, may be due to a pathological involvement of neural tissue. More often than not however, it is a reversible irritation of nerve fibers by structural, chemical, or emotional factors or any combination of the three. Sometimes the cause of numbness and tingling sensations is as simple as a vertebrae being locked or misaligned. When this is the case, standard Chiropractic manipulation works wonders. However, this is not always the case. In fact, more often than not there are several factors at work. 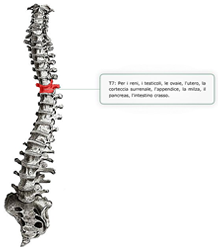 Vertebrae may indeed be misaligned; however there may also be systemic factors to consider. For this reason, Dr. Morrison evaluates patients from a global perspective. Therapy is based on patient history, physical exam findings, and on careful discrimination of clinical exams whenever applicable. In this way, all three sides of the triad of health are addressed: structural, chemical and emotional.